All this snow has me missing milder west coast weather and my friends in Arizona. In past years we hosted quite a few game day events this time of year. Luckily our new Ohio peeps are big sports fans too! 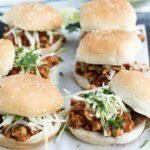 I have planning our upcoming game day menu and this super easy Baja Chicken Sloppy Joes recipe is at the center of our spread. 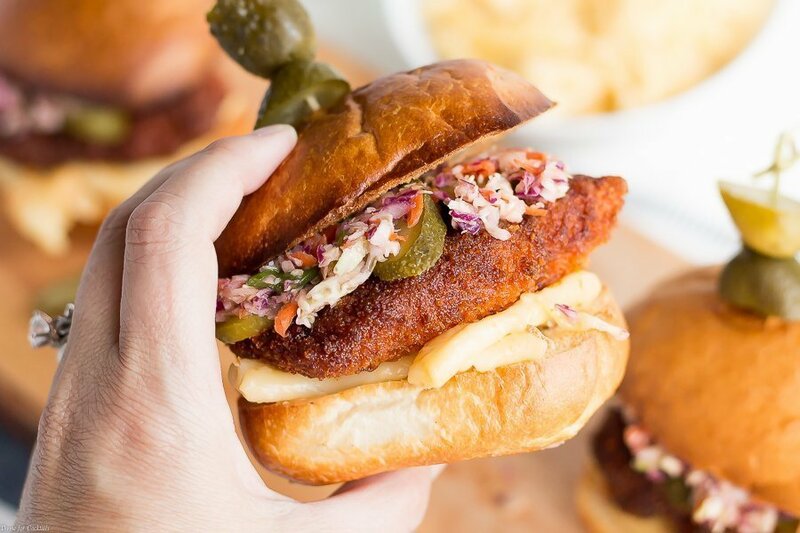 Our new favorite happy hour haunt has a Baja chicken pizza full of west coast zing that’s the inspiration for this recipe. 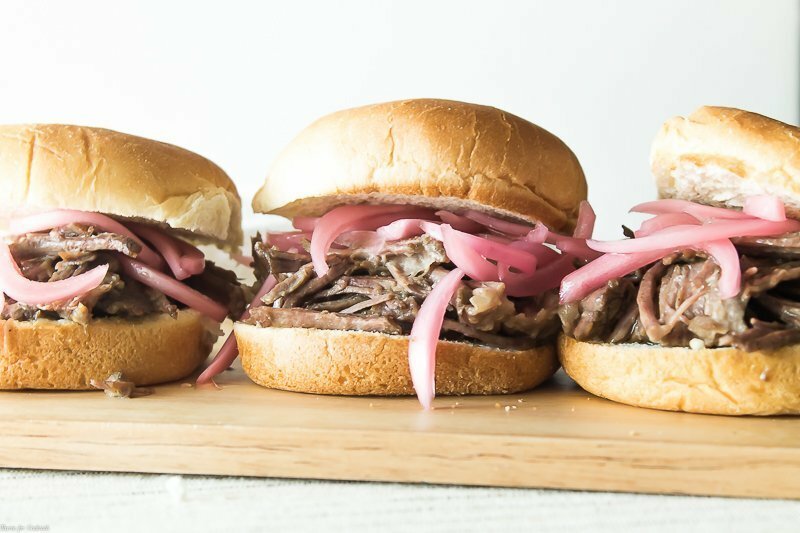 Most of the ingredients in these sliders are basic pantry staples. Like a can of fire roasted tomatoes. 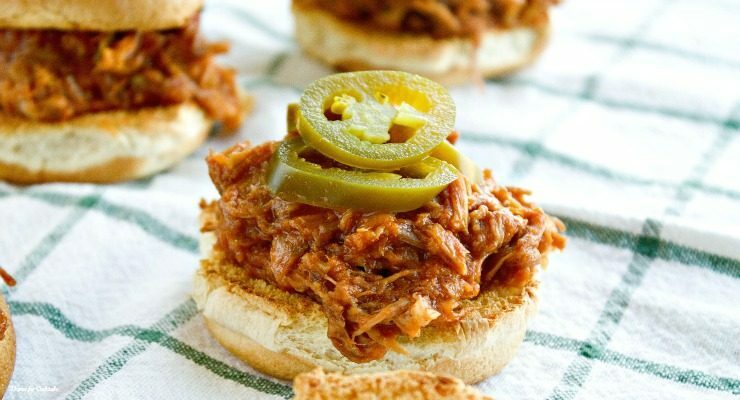 Tomatoes and green chilies would make a delicious substitute too! 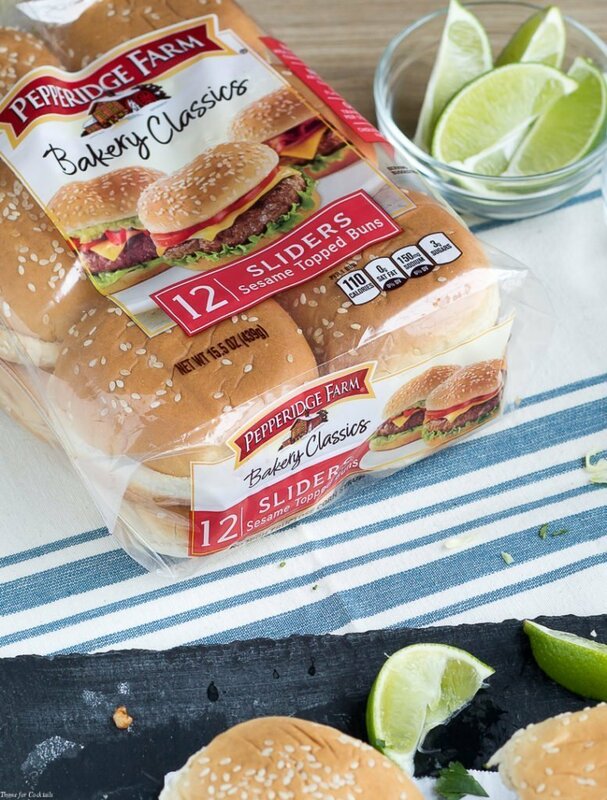 Pepperidge Farm Slider Buns are my go-to for game day recipes because they are made from premium ingredients and come in a variety of delicious flavors. 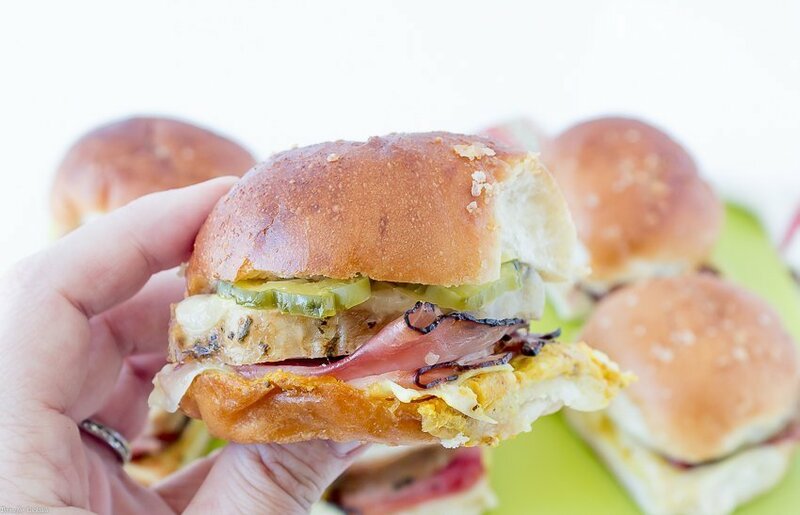 Like White, Sesame, Potato, Sweet & Soft, and Wheat buns. 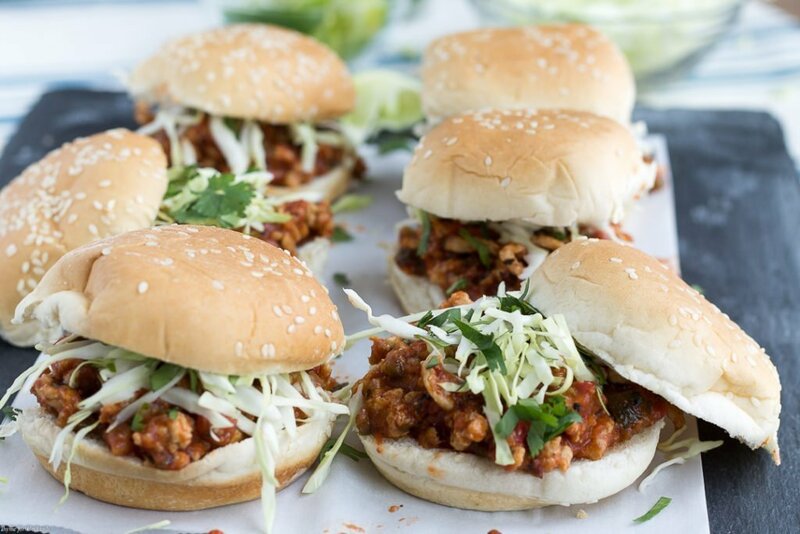 The difference between these Baja Chicken Sloppy Joes Sliders and a basic chicken taco slider is the sweetness factor. 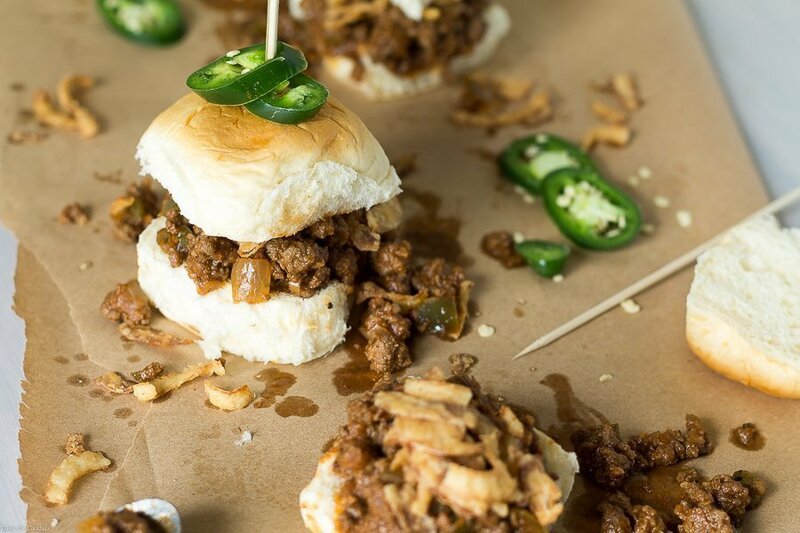 Traditional sloppy joes are a tasty combination of sweet and savory. So I get that aspect intact and jazzed up the rest of the ingredients. 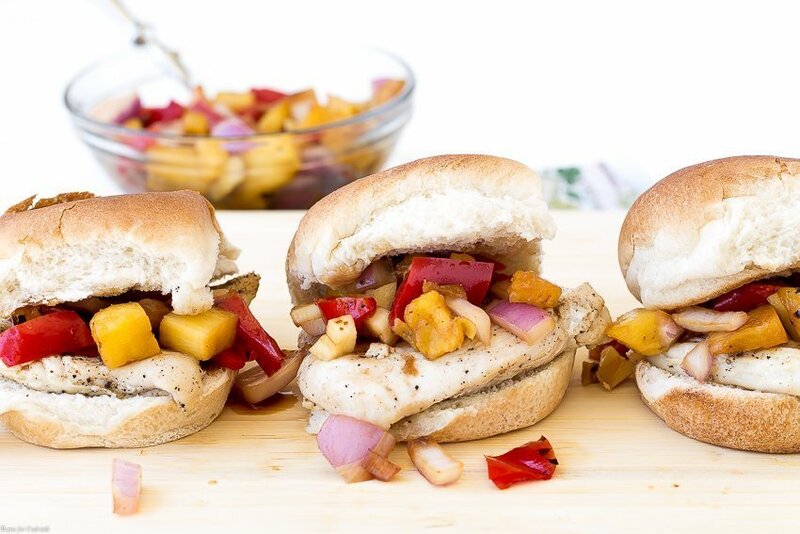 Such as substituting red wine vinegar for fresh squeezed lime juice. Plus swapping parsley for cilantro! Thinly sliced green cabbage makes a simple, yet crunchy topping. Paul snuck a few pickles in there too. Which ended up being a yummy idea! 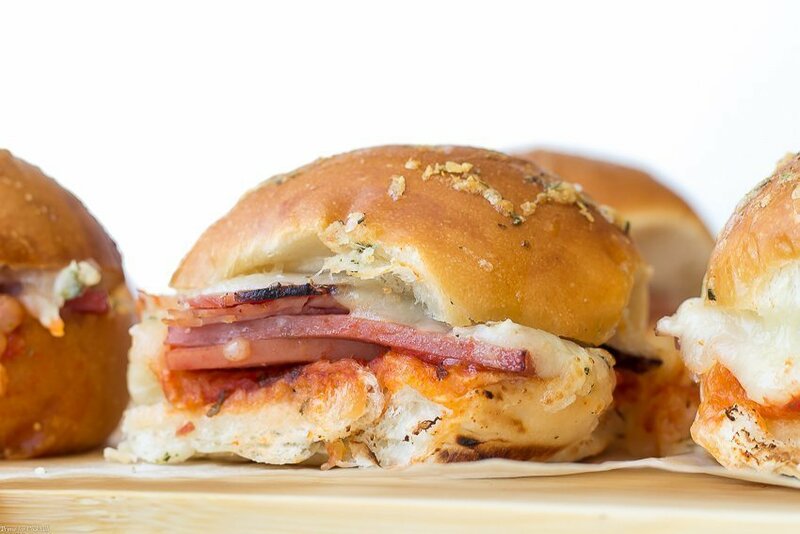 You can totally add your favorite extras like avocado, cheese, or sour cream. 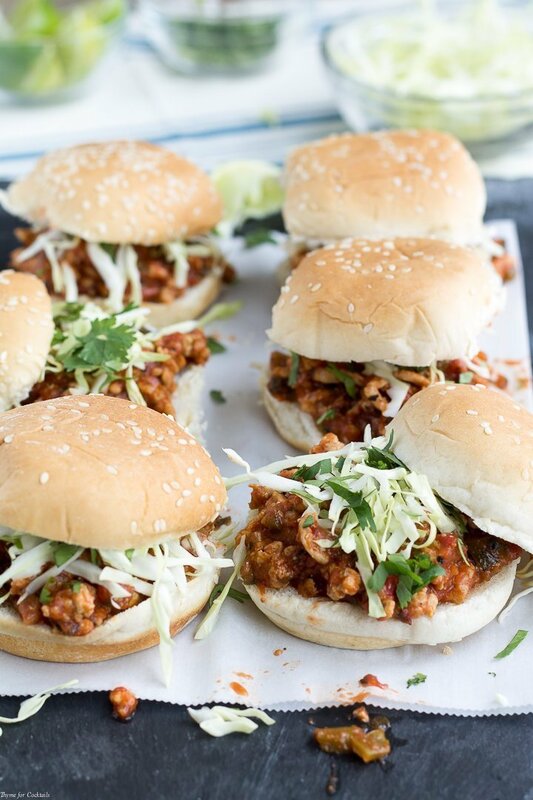 Just don’t forget an extra squeeze of lime juice right before serving! 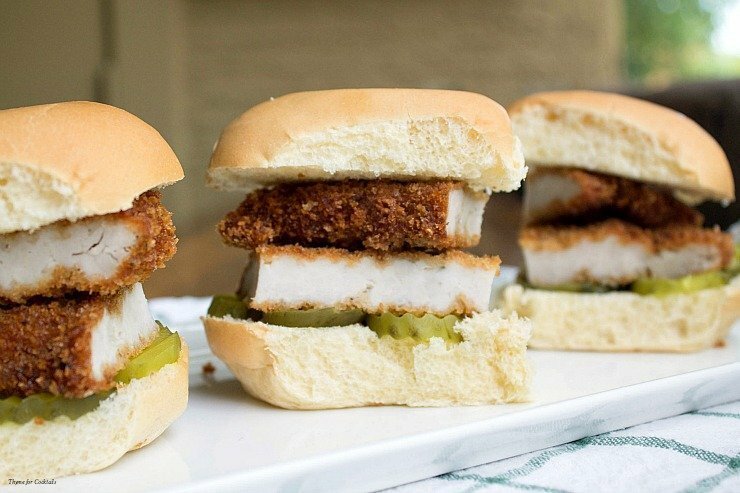 What recipe featuring Pepperidge Farm Slider Buns are you serving for your halftime spread? 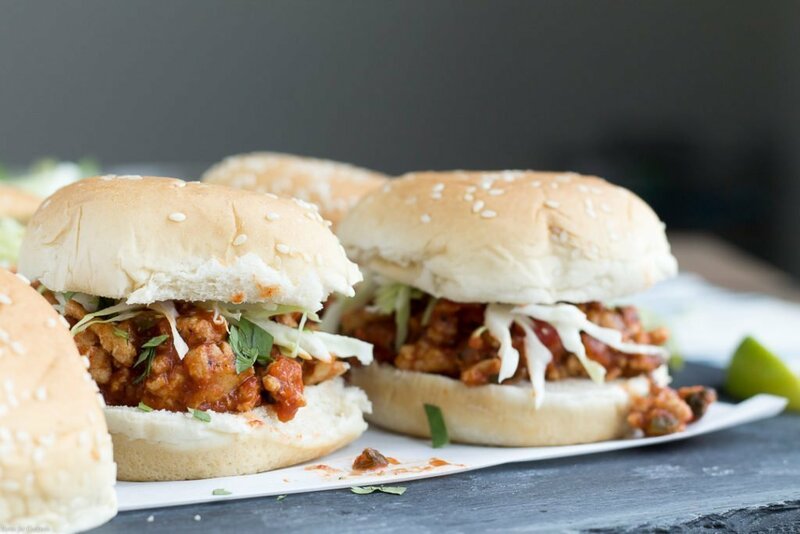 I hope you like this Baja Chicken Sloppy Joes Sliders recipe as much as my crew does. 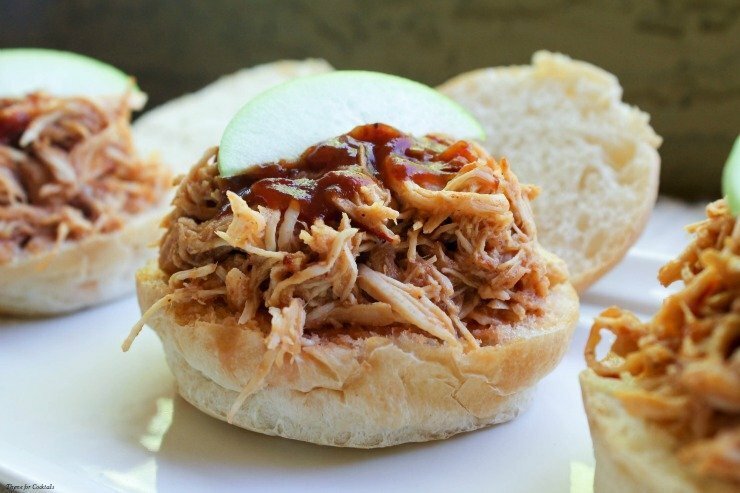 If you love this easy halftime recipe, you can find more like it by checking out my Game Day section! 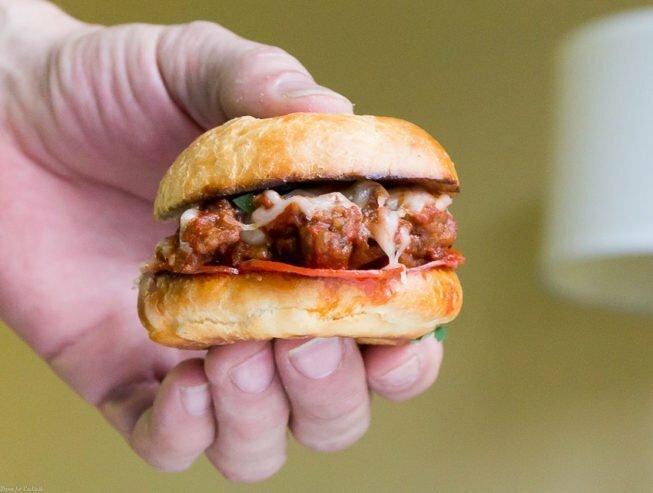 For daily recipe inspiration, subscribe to my newsletter, follow me on Instagram, and for generally inappropriate humor follow like me on Facebook! 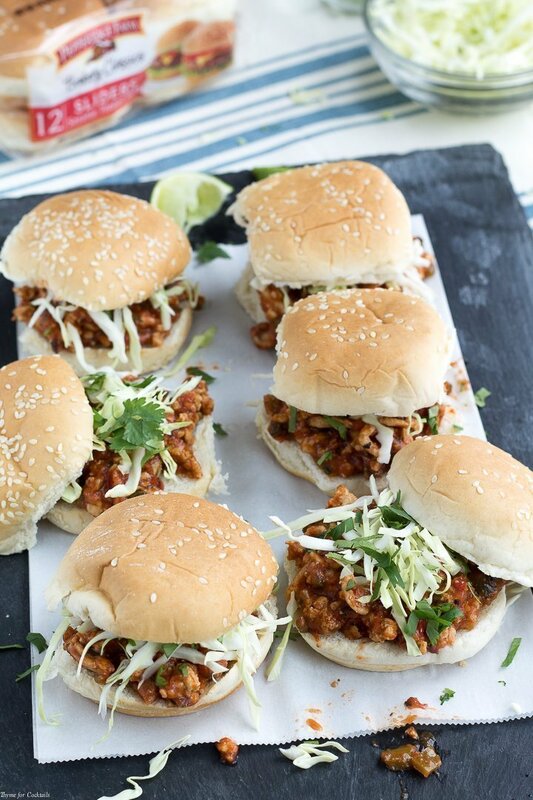 Be the star for your own halftime show when you whip up these 10 ingredient Baja Chicken Sloppy Joes Sliders full of a mouthwatering combination of sweet, tangy, and spicy flavors in about 20 minutes. Heat bacon fat in a large skillet over medium heat. Add chicken, cook 1-2 minutes. Mix in garlic, jalapeño, taco seasoning, and brown sugar. Cook 2-3 minutes. Stir in lime juice. Stir tomatoes and tomato paste. Bring to a low boil, then reduce heat. Simmer 10 minutes or until slightly thickened. Mix in chopped cilantro. Add red pepper if desired and a squeeze of lime. 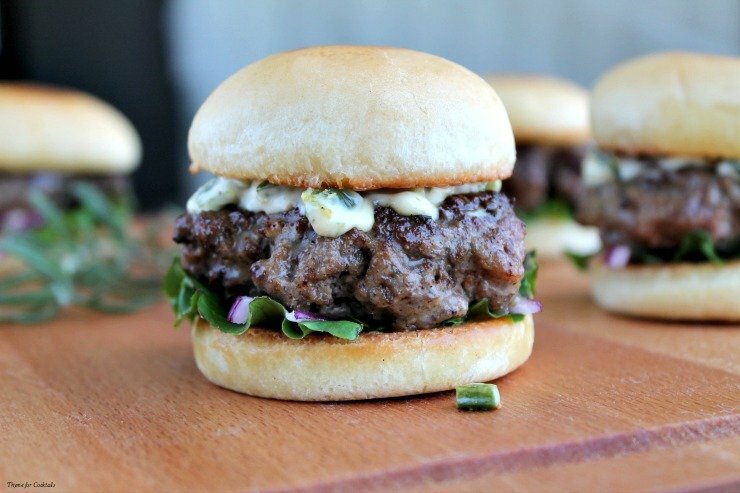 Serve on slider buns with desired toppings. 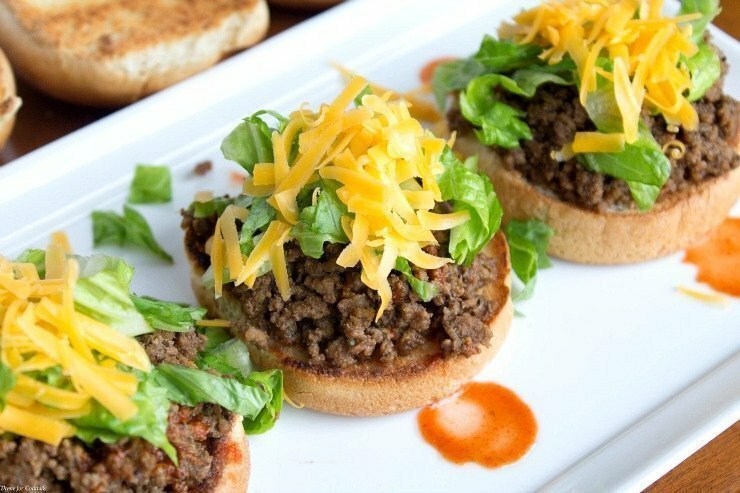 Find the recipe for my Homemade Taco Seasoning Mix here!